Description: This one of the best Project posted here. 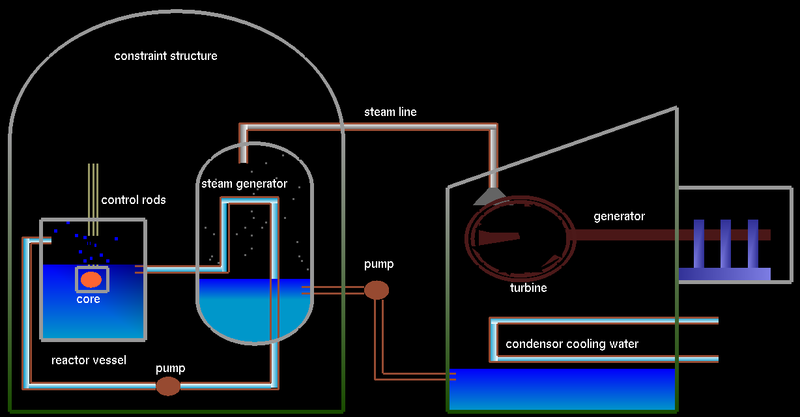 This project demonstrate how a Nuclear power plant use to work. It also demoed the internal reactions as well as the few information related to the Nuclear power plant. It required good knowledge of OpenGL to develop this project. As you can see, from the figure the flow digram is developed nicely with right combinations of different polygons to make the structure possible. USAGES: Right click to choose the options. 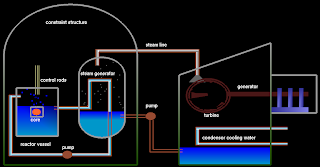 About Nuclear Power plant: Explain few of the things related to Nuclear power plant. Internal reactions: Demo how the nuclie internaly react to fuse and generate power. * want to change the speed of of the stream flow change the value in the code. You want to say there is problem in not working with other Linux than ubuntu. There is no problem of code i assure of that, might be some problem with library or security problem. This program was tested on windows with visual studio, there its worked fine. Yea.. i tried in mandriva.. also the menu gets stuck in the working of power plant page. What modification you did ? Download is there so you get it from there don't u? Sir please mail me code for Nuclear Power plant to aishwarya03194@gmail.com its bit urgent sir. Sir please mail me source code for Nuclear Power plant .It is bit urgent. Rajeev sir, can you please mail me the abstract for NUCLEAR POWER PLANT??? you din't get it yet?